Comfort food enthusiasts, rejoice — Maple Street Biscuit Co. has their sights set on Downtown St. Pete. The popular biscuit joint plans to open around year’s end at 662 Central Avenue, currently home to The Local 662. Earlier this week, a majority of the 600 block’s south side was acquired by Tricera Capital from Miami. The new owners plan to make significant streetscape improvements to the building. However, despite the promised upgrades, rising rents have some residents concerned that smaller businesses may be forced to move to other parts of town. Consequently, neighborhoods such as the Grand Central District and the Fringe District (located on 9th St) have recently exploded in popularity due to their affordability. Maple Street is most known for their signature biscuit sandwiches, offering ten unique creations on their menu. The most popular is The Squawking Goat, a flaky buttery biscuit sandwich with an all-natural fried chicken breast, a fried goat cheese medallion, and house-made pepper jelly. The Food Network even took notice and featured the biscuit on Guilty Pleasures, a show that reveals the best-kept, most-intimate, guilty-pleasure secrets from Food Network stars. However, the Food Network is not the only one to recognize the greatness of Maple Street’s mouthwatering biscuits. The restaurants have been highly lauded in reviews on Facebook, Yelp and local newspapers. As a result, lines are commonplace during peak hours at most locations. The menu also includes glass jar salads, a few entrees, and numerous side dishes, such as fried green tomatoes, mac-n-cheese, and sweet potato fries. 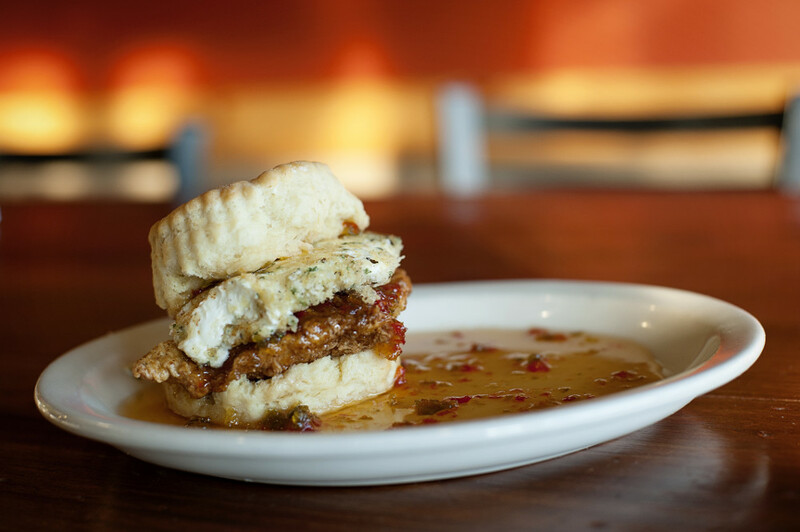 Maple Street Biscuit Co was founded in 2012 by Scott Moore and Gus Evans. The first location in Jacksonville, FL was a runaway hit, which paved the way for expansion into other neighborhoods and cities. Currently there are ten locations spanning Jacksonville, Tallahassee, Gainesville, St. Augustine, and Chattanooga, TN. The St. Pete location will be 3,000 square feet and feature an open kitchen allowing guests to observe the biscuit making process. Maple Street Biscuit Co hopes to be open by the end of 2017. Be sure to follow Maple Street Biscuit Co on Facebook, Instagram, and Twitter for updates on their upcoming St. Pete location.